Leveraging on our extensive market knowledge, we are providing a high quality range of Wobbler Spindles. 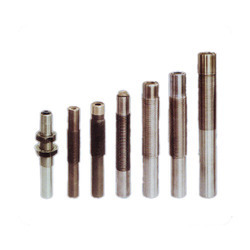 HF series spindle inserts of TeraSpin are well proven in design and widely accepted by spinning mills and machinery manufacturers. Millions of spindles are in operation across the globe. - High spindle speed, upto 25000 rpm. We are doing complete spares for paper cone machines and paper tube machines like printing spindle, winding spindle, paper spindle, paper printing spindle, paper winding spindle and many more. 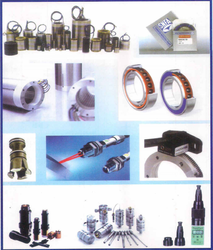 In our MK Group, we have a sister concern in the name of MAHESH MECHANICAL MANUFACTURING INDUSTRIES in which we manufacture all types of inserts and bolsters ranging from 2c to SL-77 and extra heavy duty bolsters also. As per the requirement of our valued customers we can supply imported bolslers also.